Hey friends! 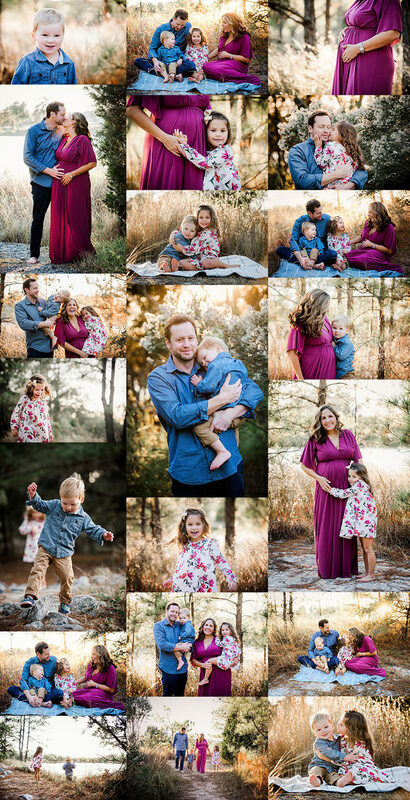 Today I have the sweetest little family photo shoot to share with you! 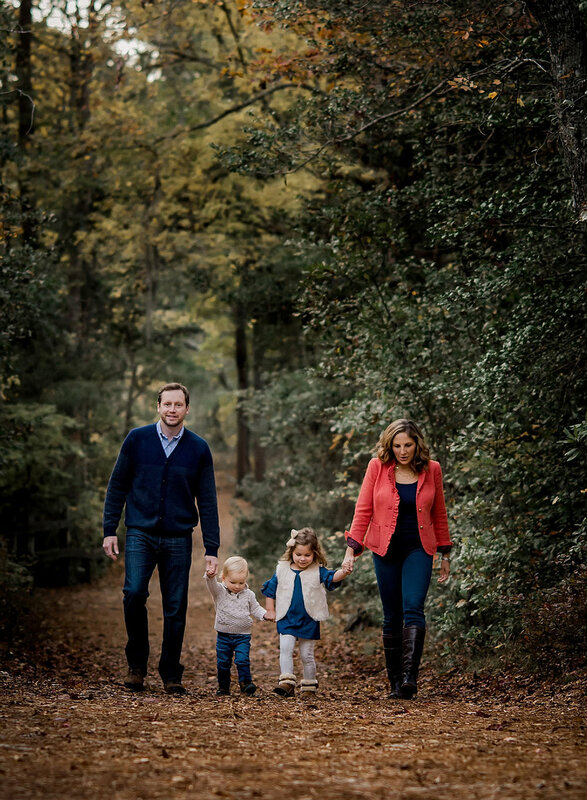 This gorgeous family of 3 contacted me over a year ago to book a family lifestyle session. Unfortunately, mom and little man came down with a virus, and we had to reschedule. Because of their work schedules, travel plans, and various other life events, it took us a while to find a date that worked. But I’m so glad we made it happen because we had the best session!! First off, they are absolutely gorgeous. I LOVE the rich jewel tones they chose for their wardrobe. Plus, they are So adorable together! I had the best time with them. And this little guy was full of personality - what a cutie! All the love this family shares just warmed my heart. Little ones grow up so fast! (I know from first-hand experience since my first “baby” can now look down from 7” above me!) I’m so happy we made time to capture these sweet moments for them. Thank you for visiting! If you enjoyed this post, please share it. Your support is greatly appreciated! If you are in the Hampton Roads, VA area and would like to schedule your lifestyle photography session, contact Melissa Bliss Photography today! It is always super exciting when families come back to see me again and again. I absolutely adore watching them grow and change over the years, and the connection we make is priceless. And, when one of my favorite families come back for a session and tells me they are expecting a new baby? Well, that just melts my heart into a giant puddle. I have had the honor of photographing the lovely Groy family for several years now, and I just love them more and more each time I see them! I met them when their first babe was just a tiny peanut, and now they are expecting baby #3! Mom and Dad are the absolute coolest, and they certainly make crazy adorable kiddos! I can’t wait to meet their newest addition! Brother and Sister are pretty excited too. Even though it was super chilly when we had our photo session at Pleasure House Point in Virginia Beach, this crew made the best of it. Their love and light just shine through in all of their images. 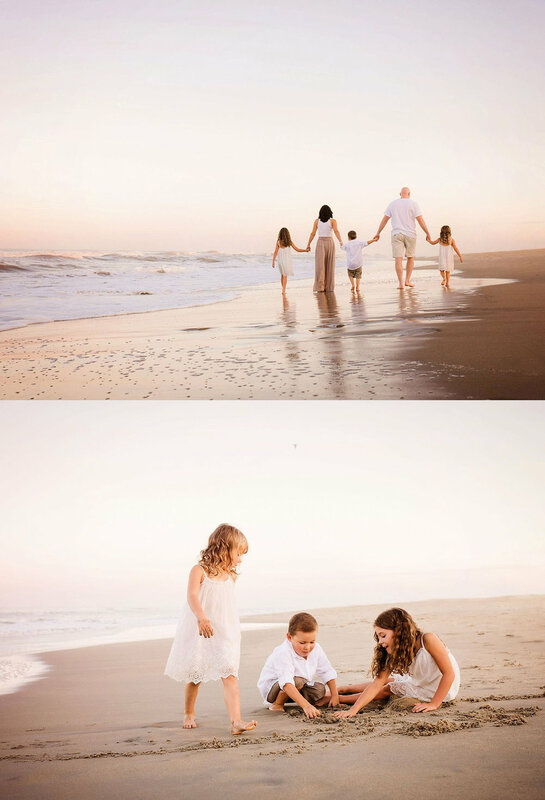 This has to be one of my absolute favorite family sessions to date. And that’s saying something, after 6 years and hundreds of families in front of my lens. They are so adorable! Ha ha. I love it! If you are in the Hampton Roads, VA area and would like to schedule your creative photography experience, contact me today! Hey friends! 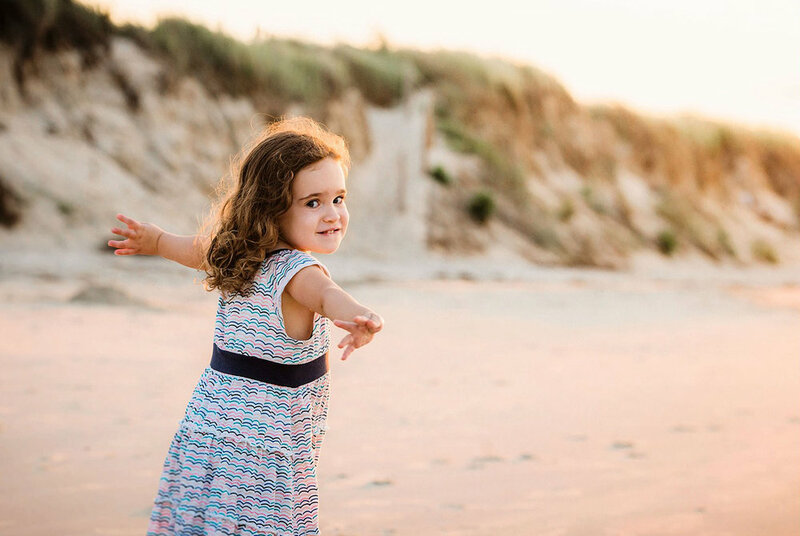 The weather is finally warming up and I am SO excited to be booking sunset beach sessions again. I have been shooting on the beach for years and I have learned a ton, I tell you. When I first started out, I was on the struggle bus for a while. Beach light can be tough, and it changes every minute, especially at sunset. But, beach sunsets offer some AMAZING light. When you know how to use it, that is. Ha ha. After years of trail and error, tweaking, hair-pulling, refining and straight up hard work, I have found a comfortable groove at the beach. I have shot hundreds of sessions at all times of the year and they get better every season. And so do my clients! I know photography is not rocket science, and I'm certainly not saving lives or anything. So, I don't take myself too seriously, but I do know that many of the sessions I shoot hold a very meaningful place in the hearts of those couples and families. Sometimes, even years later, they email me to thank me for creating a lasting memory of the connections and moments that are dearest in their lives. It is a great blessing to be able to do that, and to have them trust me to do it well. So enough with the gush, I really wanted to say that so many of my clients just rock my socks. They open up, share their lives, trust my creative vision, and just let me do my thang. That freedom really helps me create my best work, and I am often blown away by what we are able to accomplish together. 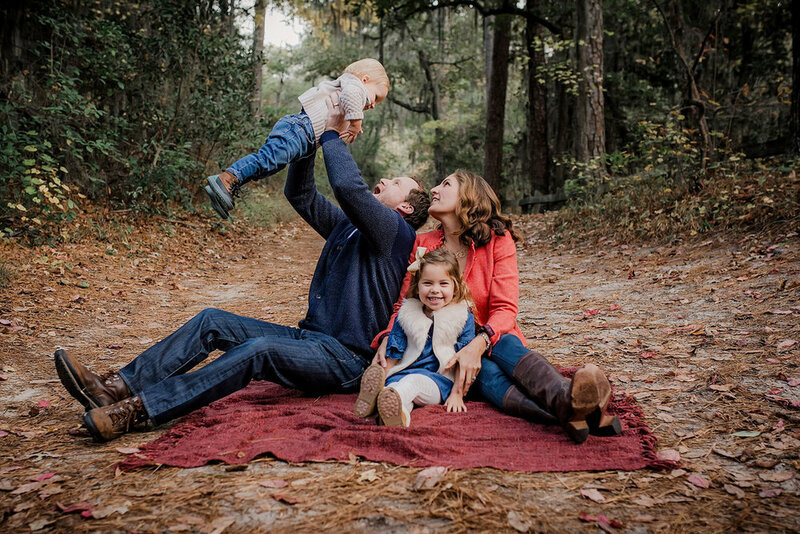 Like this AMAZING session with the Thompson family! These folks were THE coolest. Seriously. Mom knocked their wardrobe out of the park. They showed up looking gorgeous, but were completely unpretentious, relaxed, and ready for fun. They just focused on making some one-of-a-kind memories together, while I got to work making images that cataloged all that awesomeness. And together, we made magic. In fact, the image below took 11th place in an international photo contest of over 412,000 entries. This image placed 11th in a category of 5,181 photographs. How cool is that?! Several other images from this session placed in that contest as well. And what priceless memories for these kiddos, am I right? They will never forget this evening on the beach, when their mom and dad let their hair down and played right along beside them in the surf. The freedom, the excitement, and the non-stop-giggles that make your belly and cheeks ache - those are forever etched in their hearts. These images will take them back to those moments time and time again throughout the years. That makes my heart so full I could burst! So, it's true I'm not saving the world. And, while they are kind of exciting, even awards and accolades don't mean a whole lot at the end of the day. But hopefully, I am giving each of my clients something priceless and personal and wonderful. That would make me truly proud. If you are interested, you can find out more about the Shoot and Share photo contest by clicking on the awards image below. If you had a session with me in 2017, one of your images just might have placed too! If you are in the Hampton Roads, VA area, or plan to be, and would like to schedule your lifestyle photography experience, contact me today! If you enjoyed this post, please share it, thank you! This sweet little family recently moved to Virginia Beach after relocating all the way from California. 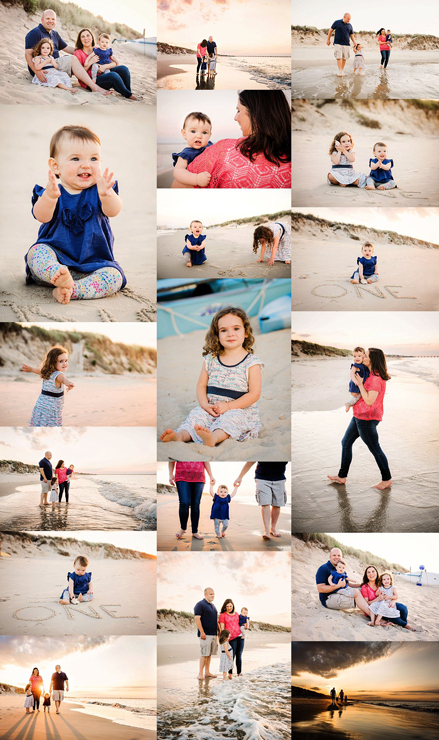 I met the Tozzi family at Chick's Beach for a sunset beach mini session. 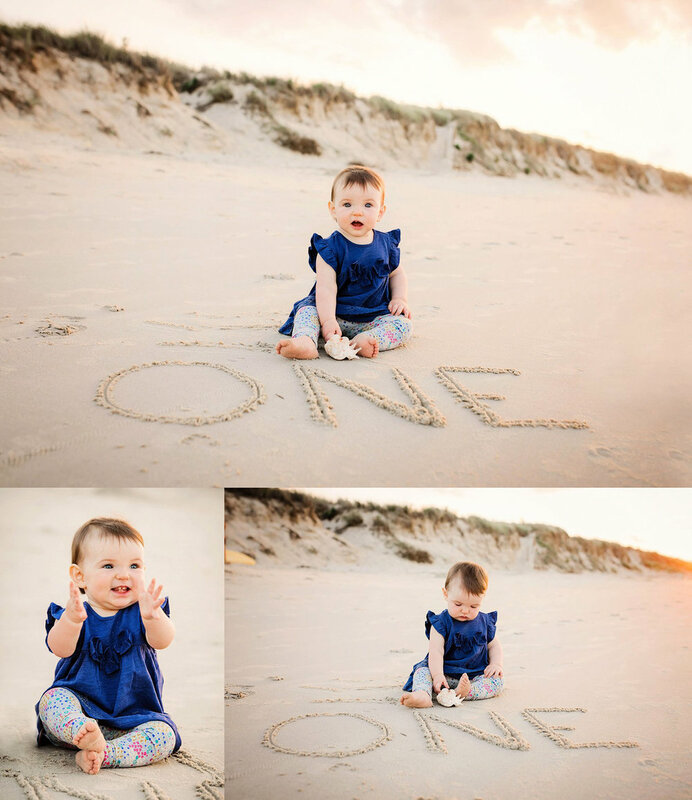 It was time for some updated portraits, and their littlest peanut was celebrating her first birthday too! It didn't take long for me to fall in love with their sweet girls! They were absolutely charming. Mom and Dad's down-to-earth, laid back manner also won my heart. We simply played and explored the bay shore, while Mother Nature graced us with the most gorgeous sunset. The evening was just about perfect, I tell ya! I mean that golden light, those long shadows and the rolling clouds...pretty much a recipe for perfection if you ask me. Especially when you throw in this awesome family crew! And if you enjoyed this post, please share it. Your support is much appreciated. Thank you! I can't get enough of this gorgeous little family! They are the coolest, I tell ya. I did a session for the Groy's a few years ago, when their girl was less than a year old. 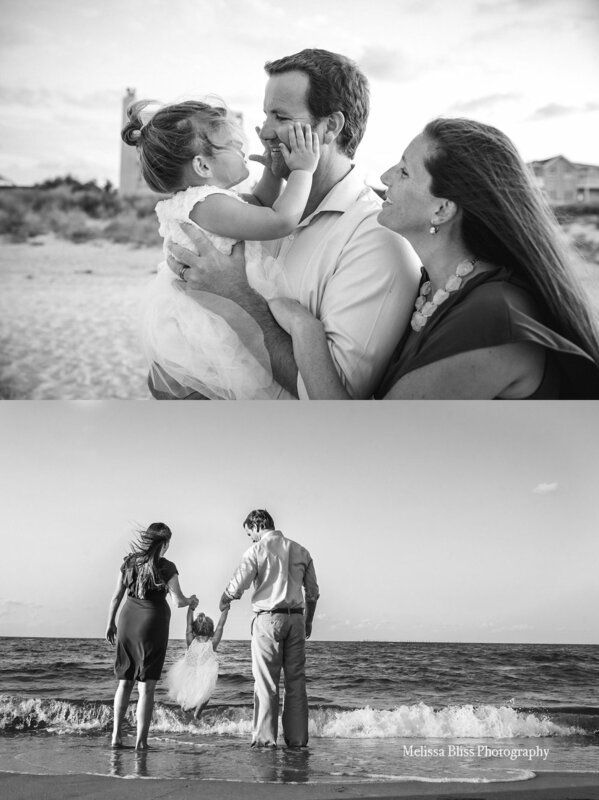 I loved them, and was super excited to see them again recently for a lifestyle session in Virginia Beach. They are every bit as awesome as I remembered -and then some because they have a little toe-headed cutie rounding out the family now. I would give a kidney to have photos like this of my family when my kiddos were younger. I can just see this beautiful mama, years from now, telling her grandbabies all about when their mom and dad were little adventurers seeking treasure under every leaf and rock. It's hard to call this work when I giggled and played the whole way through! I am just smitten by these cuties and their laid-back, cool as cukes mom and dad. And the sweet, intimate snuggles too. If you would like to schedule a photo session for your family, get in touch! And, if you enjoyed this post, please share it. Your support is much appreciated. Thank you! 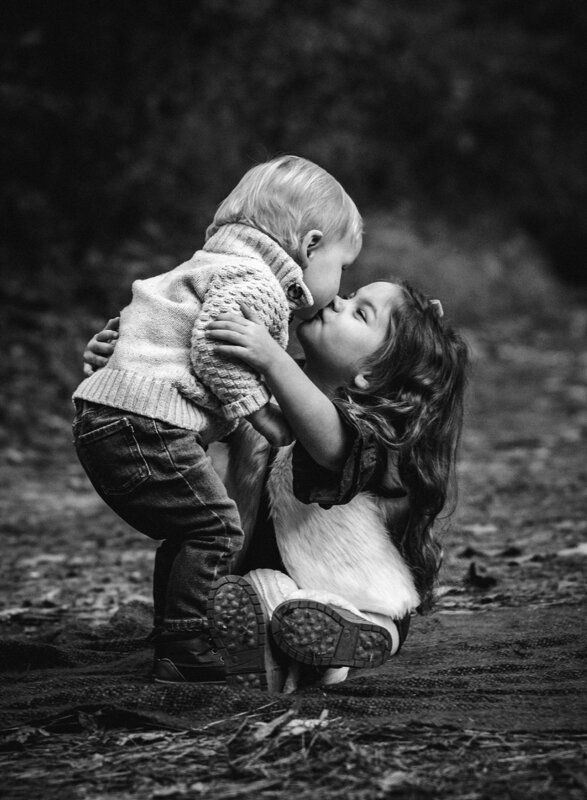 Have I got the sweetest session to share with you today! So full of intimate moments, love, snuggles, adorable toddler antics and that gorgeous maternity glow! This beautiful growing family stole my heart. 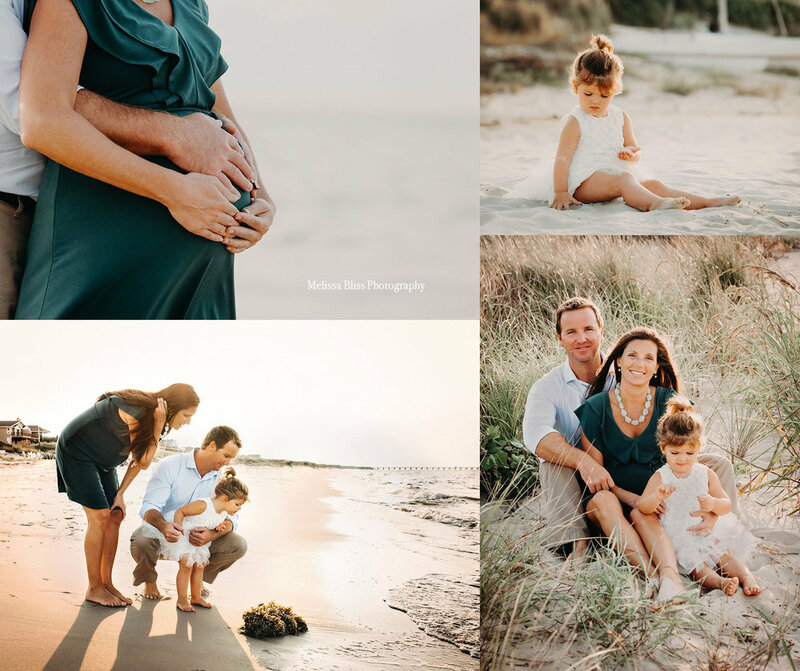 Here are the highlights from my Chick's Beach sunset family maternity session with the Dierstein family! Isn't whole family just gorgeous?! And mama looks amazing in that green dress! Love, love, love all that sweet squishy goodness! If you enjoyed this post, please share it. Your support is greatly appreciated.! 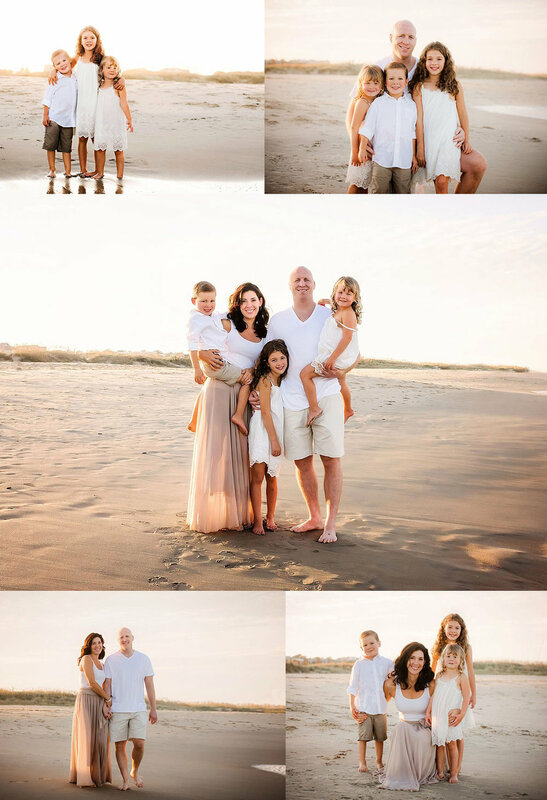 I had SO much fun with the Adams family at our beach session! They were in town visiting family, and decided they needed some family beach photos. Mom grew up in Virginia Beach, and they now live in Texas. They have the most beautiful family, and are blessed with a happy life. She confided in me though, that she sometimes misses the beach. So, a sunset family session was in order, of course. I love it when families show up ready to play. I had a blast playing along the shore with the Adams and their adorable boys in blue! Now those beautiful boys have some happy family beach memories and mama has some fantastic family photos for her walls. Thank you, Adams family, for sharing your immense awesomeness with me! I loved hanging' with you guys. Come back soon! !